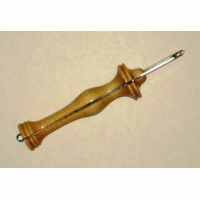 Makes 1/4" loops - use with thinner yarn. Comes with box, stitch gauge, and helpful handbook. 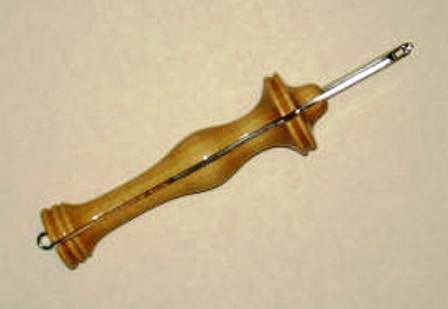 The fine needle has a loop at the end to help guide the yarn. This is called a "heel".